It’s been a big week for the county. Plus: We’ve heard about and confirmed some new candidates for county and city seats, and the future of Civic San Diego is still cloudy. Assemblywoman Lorena Gonzalez and County Supervisor Nathan Fletcher have always featured their families in their public lives. Fletcher has often discussed the adoption of his two sons. Gonzalez has cited her experience raising her daughter and son as the source of her passion to help working families. An act of teenage defiance even landed Gonzalez’s daughter in the news, when she donated to Fletcher’s mayoral campaign years before their marriage, and while her mom was supporting another candidate. Since Fletcher and Gonzalez got married two years ago, they’ve filled social media with images and anecdotes of the Brady Bunch they’ve become. Over the holidays, they introduced San Diego to a new family member — a young man. Gonzalez posted family photos that included him on social media with the rest of their children. In a public holiday message on Facebook, Fletcher went through all the couple’s children and listed some of their qualities. “Max is a strong willed, intelligent and vibrant college student and wins every chess and basketball game,” he wrote. We had not heard of Max before. When Fletcher took the oath of office, Max stood with the whole family. Max is Fletcher’s son, who moved in with the couple last year. “My 19-year-old son just came into our life and it is wonderful,” Fletcher told us in a written statement. He didn’t want to discuss it further. Max’s mother, Crystal Costa, who lives in Arkansas, said there was nothing of public interest in the relationship or Fletcher’s experience with her. “Max has been loved. I’m really pleased he could get to know Nathan now and that they connected,” she said. The Fletcher-Gonzalez family is now seven strong. Gov. 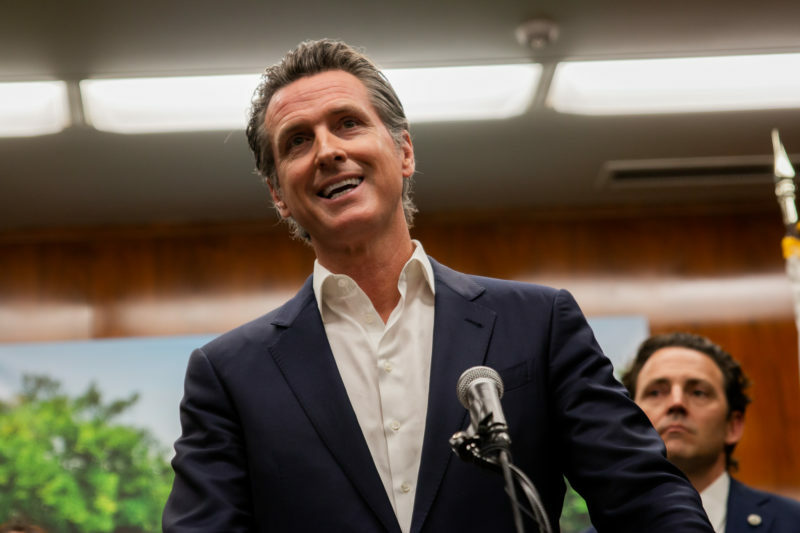 Gavin Newsom even came to town to talk about the issue and deliver some resources to help. This further proved Newsom is aware San Diego exists, which is refreshing. Also: The guest this week on the show was Will Rodriguez-Kennedy, the newly elected chairman of the local Democratic Party. We talked about some of the challenges he faces to mend relationships after some bitter intra-party rivalries that the party was on the losing side of many times. Each week of 2019 has brought another slew of candidate announcements for the 2020 cycle. 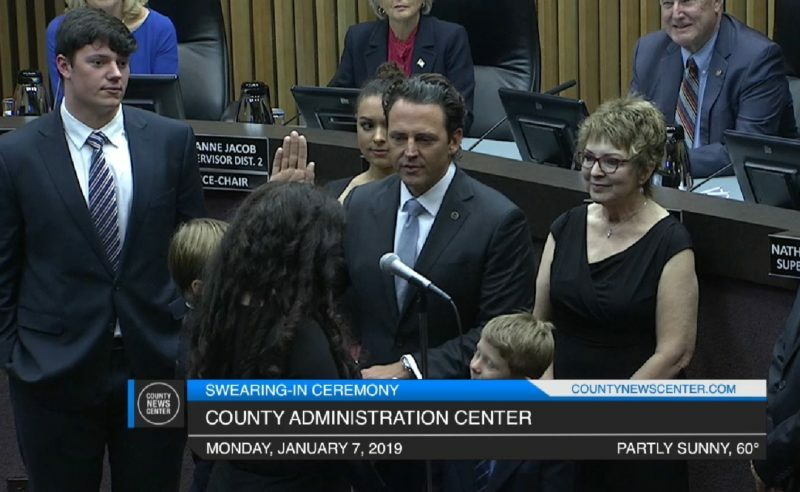 San Diego City Council District 1: This week, we learned that Aaron Brennan, a Navy reservist and firefighter from La Jolla, is running for the seat Councilwoman Barbara Bry will vacate to run for mayor. A Democrat, Brennan joins attorney Will Moore and land-use consultant and community planner Joe LaCava on the left. No Republicans have declared a candidacy in the race yet. County Supervisor District 1: And in the South Bay, Nora Vargas officially announced that she was, indeed, running for the South Bay supervisor seat, where longtime Republican Supervisor Greg Cox is termed out. Port Chairman Rafael Castellanos has already announced his candidacy as well. Castellanos and Vargas, both Democrats, could now be facing a high-profile official from their party. State Sen. Ben Hueso has opened a committee for his own supervisor run in 2020 as well. San Diego City Council District 7: We also confirmed a pair of new candidates for the seat representing the Tierrasanta, San Carlos, Linda Vista area. Councilman Scott Sherman will leave the office in December 2020. Justin DeCesare, a real estate professional and Democrat who ran unsuccessfully in 2016, has decided to give it another go. Wendy Wheatcroft, an elementary school teacher and gun control activist, announced her campaign at the start of the year and has already started knocking on doors. She is also a Democrat. At least one Republican has also decided to get into the race. Noli Zosa, chair of the Linda Vista Planning Group and a partner in the Dirty Birds restaurant group, confirmed Friday that he’s running as well. He said he’d focus his campaign on affordable housing, homelessness, safe neighborhoods and transportation. “One thing that we as Republicans don’t always talk about – we’re so busy talking about tax cuts and cutting regulation – but we need to be in these communities to talk about how to improve the lives of everybody, especially those who haven’t benefited in these tough economic times, like the people in my community in Linda Vista,” Zosa said. County Supervisor District 3: We also learned of the first contender in the District 3 County Supervisor seat currently held by Republican Supervisor Kristin Gaspar (Gaspar has not yet committed to running for re-election). Terra Lawson-Remer, a public policy professor at UC San Diego who previously worked in the Obama administration, announced her candidacy Monday, pledging to focus on homelessness, transportation, education and criminal justice reform. The fate of the city’s downtown development agency will remain an open question until at least this spring. 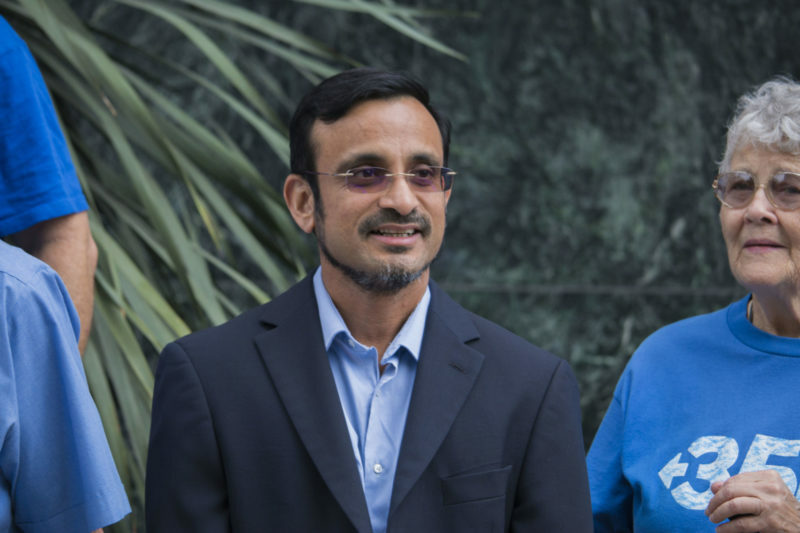 For months, attorneys for the city and a former Civic San Diego board member have been negotiating the future of the embattled agency in the aftermath of a 2015 lawsuit by labor-affiliated former board member Murtaza Baxamusa that sought to weaken, kill or at least reform the unique nonprofit. Superior Court Judge Richard Strauss on Friday agreed to give attorneys for Baxamusa and the city until March 29 to finalize a settlement. It’s the second extension Strauss has given. Among the factors likely stalling the process: The City Council will have to sign off on the settlement once attorneys finish their negotiations.